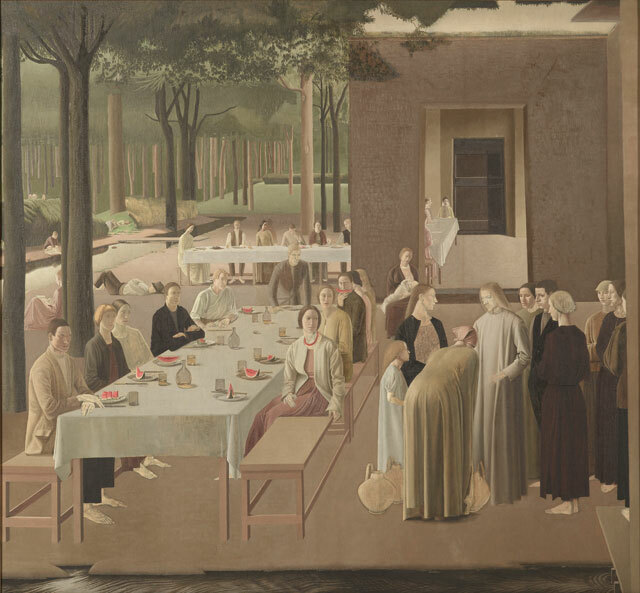 Emily Spicer reviews Winifred Knights (1899-1947) at the Dulwich Picture Gallery, London, on view through September 18, 2016. Spicer also interviews Director Ian Dejardin about Knight's life and work. Spicer writes: "What Knights achieved with her formidable artistic armoury was wholly original. Her draughtsmanship, her understanding of colour and tone, her manipulation of perspective and her way of tapping into the spirit of the Quattrocento, without pastiching the works of the masters, all bear out her genius. But her work is about more than just style; it has substance too. Knights’ face looks out from every painting as she flees the deluge, sleeps soundly in an Arcadian bliss populated by women, or mourns the death of a stillborn child ... These events echo those of her life, and her personal story runs through her work like a silk thread, connecting each precious, meticulously executed painting."